An awning/overhang/sunshade is a custom product attached to the exterior wall of a building and is typically composed of fabric and steel so that it acts as a solar deterrent in the summer but allows as much sunlight as possible in the winter. The locations can be above a window, a door, a deck or sidewalk. 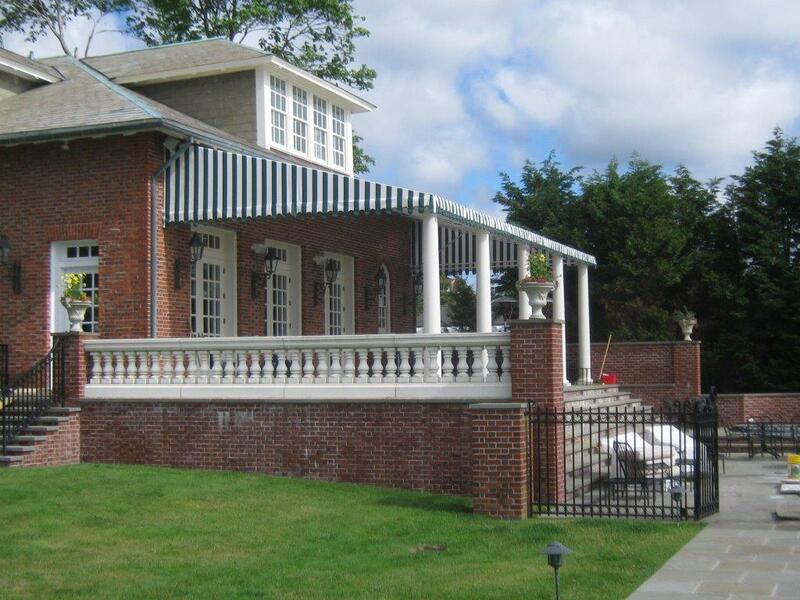 With the addition of columns an awning becomes a canopy and is able to extend further from a building as in the case of an entrance to a restaurant. 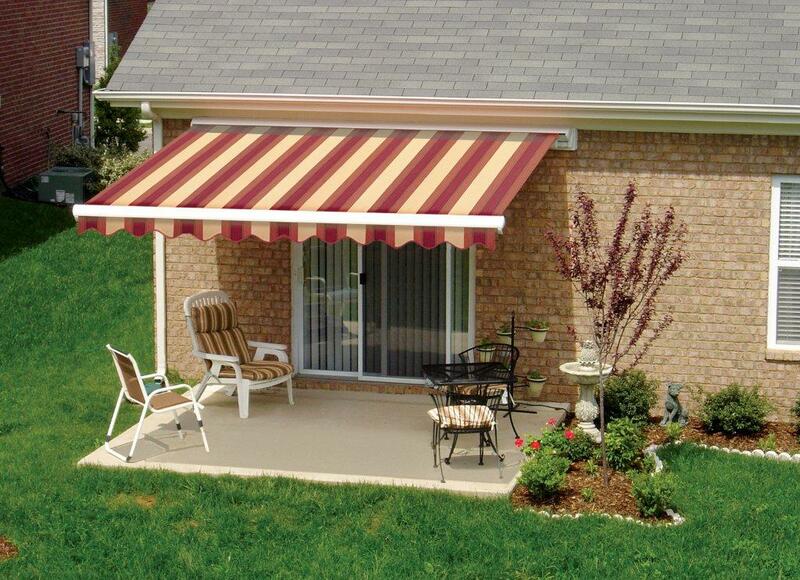 Many eating establishments use awnings broad enough to cover large outdoor areas for dining, parties or receptions. Commercial buildings add graphics with identity identification to act as a sign or billboard along with providing shade, blocking wind and protection from rain and snow. 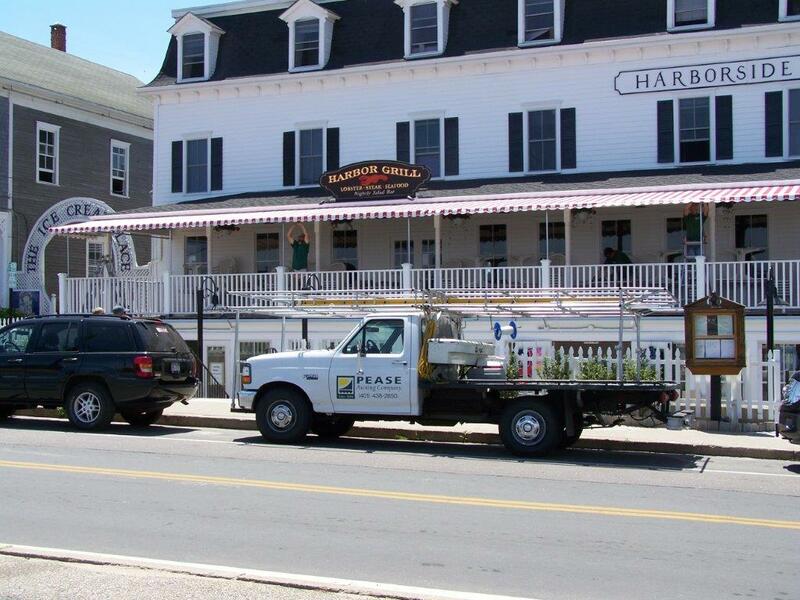 Most awnings are removable during winter months but others are snow load engineered and stay up all year long. Pease Awning & Custom Products has been a leader and inventor since 1866 and has evolved through the centuries to adapt to the modern changes in both product specifications, installation practices and most important customer's requests. Our standout invention of the UP&OVER solved a problem that low roof lines caused for our clients looking to shade deck and patio areas. Our UP&OVER solves the height issue in it's design without attaching to the roof. It gives the proper amount of height and pitch needed to shed rain and allow comfortable seating. We have installed thousands of this particular custom product and it is a very popular and pleasing solution. Our team will advise the best and most affordable solution to solve your next Shade Cover Solution. Call us at 401-438-2850.